Third Thursdays are about to get extraordinary! 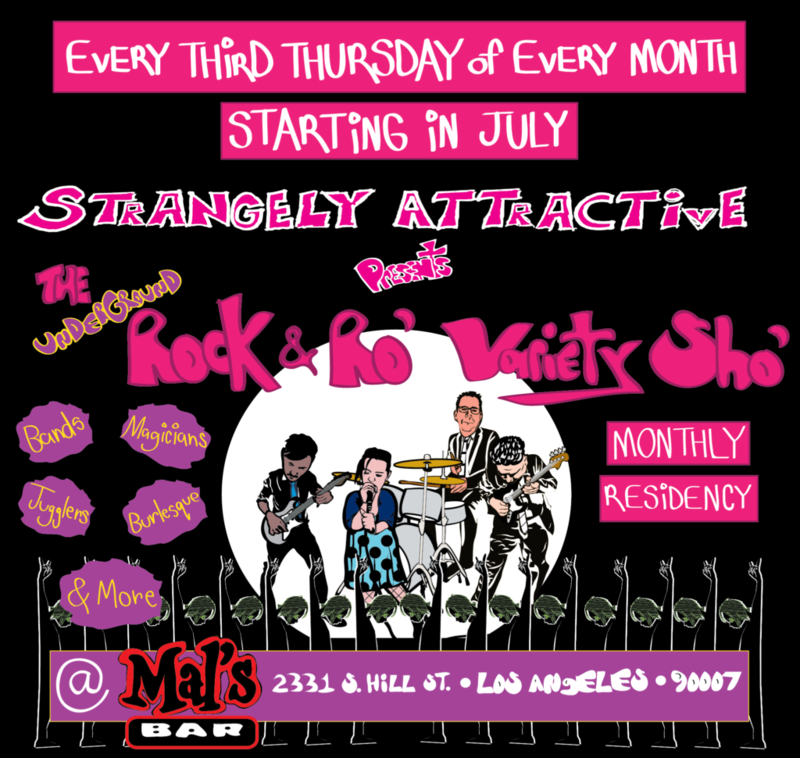 Starting in July you’ll be able to catch us every third Thursday of every month at Mal’s Bar as we host the Underground Rock & Ro’ Variety Sho’! It’ll be a night of incredible live entertainment where you’ll hear awesome music from amazing bands and see fantastic variety performers from magicians to jugglers to burlesque dancers and so much more.